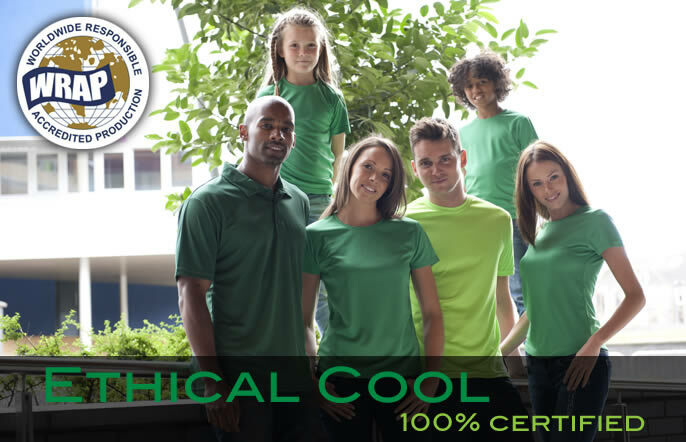 AWDis garments are produced in factories conforming to WRAP (Worldwide Responsible Accredited Production) standards and which are certified to their strict regulations. In a market dominated by ecologically and ethically aware young people who are increasingly discerning about where their clothing comes from, the WRAP logo and what it stands for they think is very important. WRAP certification of their factories ensures that all garments come from lawful, ethical and humane manufacturing sources. This applies right back through the supply chain. They take the future of our planet as seriously as their customers.